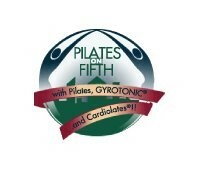 Start taking classes at Pilates on Fifth and other studios! Reformer & Chair taught in Japanese Language. There are no upcoming “Japanese Reformer & Chair (Taught in Japanese)” classes on this day. ***If you have any serious injuries or are pregnant, please check with our Front Desk to make sure you're able to attend classes. *** Please wear socks. Shorts are not recommended. Phones, coats/jackets, bags, etc, are not permitted in class. Please bring locks for lockers! You must arrive 15 minutes early for class. We're located on the Southeast corner of 5th Avenue, between 41st and 42nd Street. If our main entrance is under construction, please use the service entrance on 42nd Street. Please look for the white door next to Nat Scherman.